Centro Médico del Noroeste, comprehensive high-level hospital. CMN is a hospital supported by 30 years of experience, whose mission is to provide excellence inpatient medical services to the community that has labeled CMN as the best hospital in town. In CMN has the best equipment and personnel to meet the medical needs of the community. 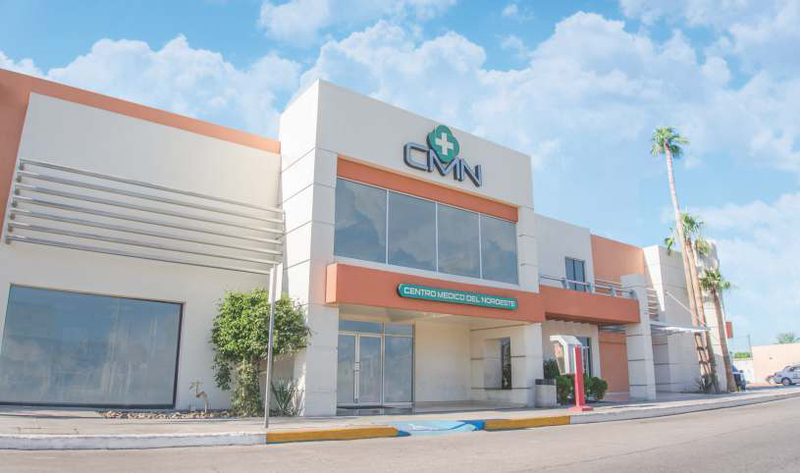 Centro Médico del Noroeste was inaugurated and opened to the medical community and the general public in our town on January 19, 1987. This hospital is the product of the efforts of its CEO, Dr. Raul Hector Payan Garcia, who knew the needs of this growing city of having a medical center with the latest medical technology, highly trained personnel, and provide safety and comfort for all patients, family and phisicians, since at that time there were only small clinics in town offering only certain services, the patient had to be transferred to another city if they required specialized treatment. Centro Médico del Noroeste was planned from the beginning to offer a comprehensive service to both hospitalized and walk in patients, as well as to have general practice and specialized medical doctors, it also has diagnostic support services such as the clinical lab and radiology departments, also a pharmacy to fill out prescriptions. MissionWe are an organization that provides excellence in medical hospital services to the community, providing our patients safety, trust and welfare in their health recovery.